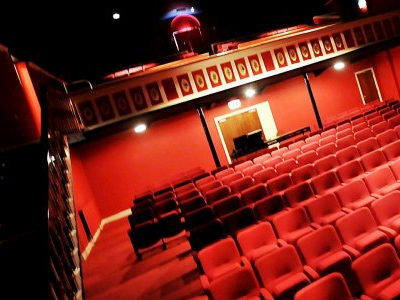 The Dibble Tree Theatre, based in the coastal town of Carnoustie, is home to the Carnoustie Theatre Club which was formed in 1969. Carnoustie sits on the north east shore of the Firth of Tay in the Scottish county of Angus. 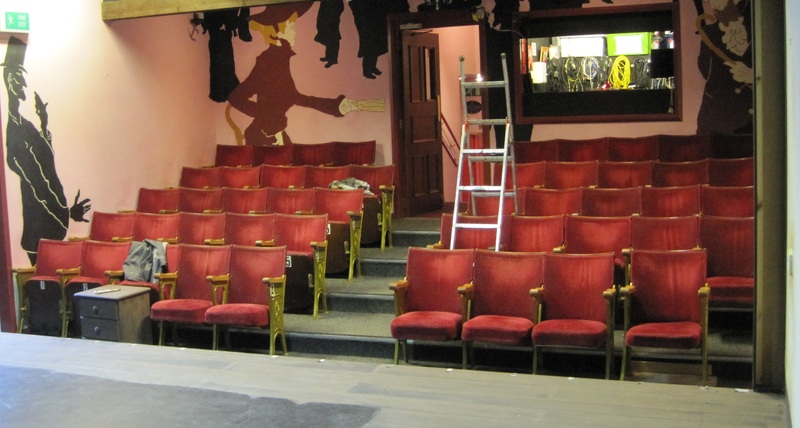 In 1991 the theatre club achieved a long held ambition when with various forms of funding and grants they took over the building that became The Dibble Tree Theatre. On a tight budget the building was transformed with the help of donations from various sources. The original auditorium seating came from the old Regal Cinema in Broughty Ferry. 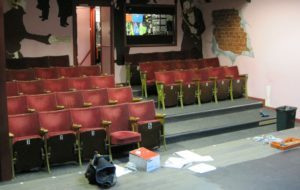 Fast forward over 25 years and the theatre’s 48 seats had been well used thanks to its numerous rehearsal and performance schedules each year. 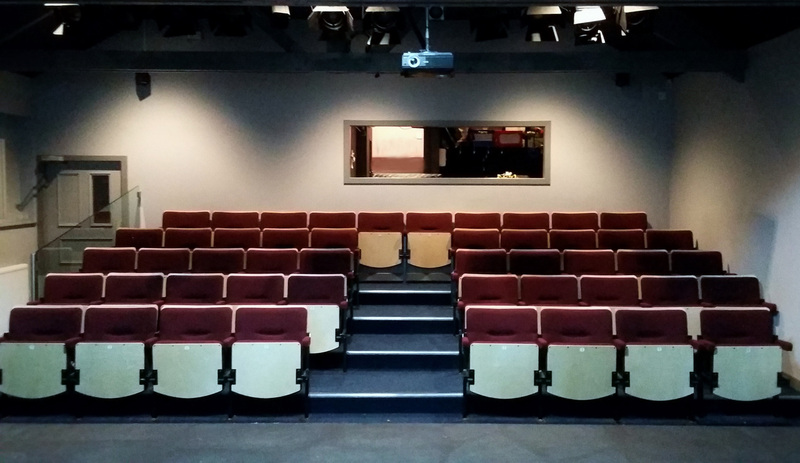 In 2017 the company decided it was time to revamp the auditorium and invest in some new seating to ensure its audiences could continue to enjoy their performances in comfort for many years to come. 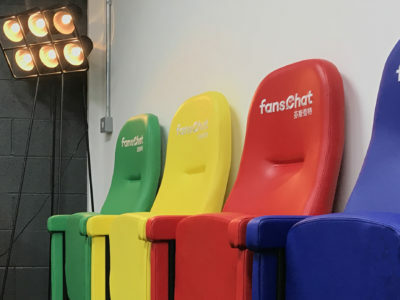 Theatre Manager, Brian Gordon got in touch with Evertaut after seeing the range of theatre seating on our website which can be tailored to customers’ needs. We visited the theatre to meet with Brian and conducted a free site survey to understand the theatre’s requirements and take all the necessary measurements. 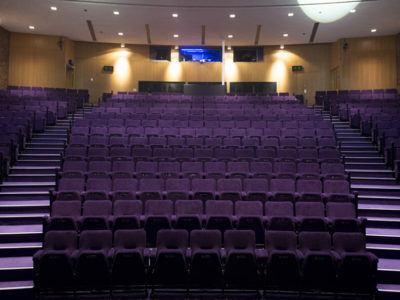 Evertaut’s Solar Theatre Seating was recommended to meet these requirements and following the meeting we arranged for a sample seat to be sent to the theatre for them to assess and try out. Once all the old seating was out of the way the theatre company undertook a lot of work to improve the auditorium before the new seating was installed. This included new insulation, an improved heating system and new lighting equipment. The doorway which can be seen in the middle of the auditorium was also closed off, allowing the length of the lighting box to be extended. 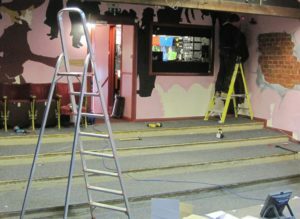 Once all of this work was complete the auditorium was painted to give it a fresh new look and new carpet was fitted. Evertaut manufactured 48 Solar Theatre chairs for The Dibble Tree with one of the seats being removable to allow space for a wheelchair on the front row. 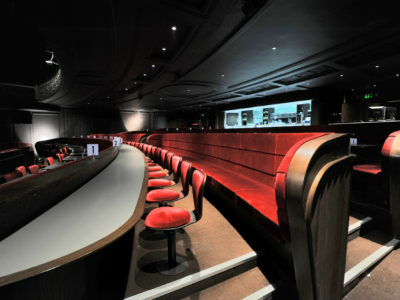 The theatre chose Camira’s 24/7 fabric range in ‘Minute’ which is a deep red colour speckled with black. Seat backs and bases both incorporated an outer protection panel. 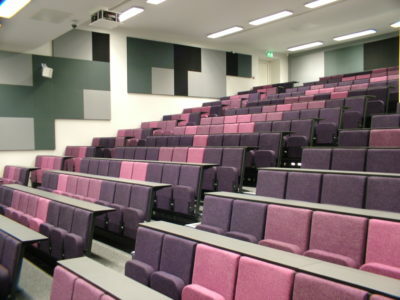 Although Evertaut offers a full installation service the theatre chose to fit the seating themselves as there is no obligation to use our fitters. Evertaut had all the seats, backs, arms, metalwork and fixings delivered to the theatre ready for them to install. 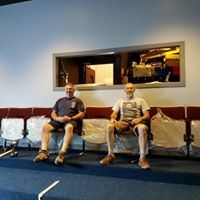 The Theatre Manager was really happy to see the new seating going in and stopped for a photo opportunity with the installer once the first row of seats had been fitted on the back row! 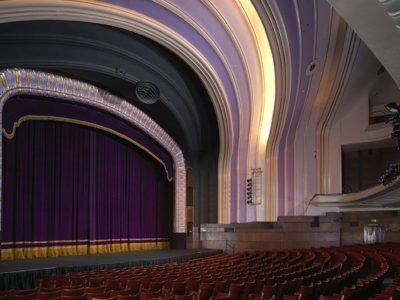 Freshly decorated and fully seated, the refurbished auditorium was set to serve the theatre and its audiences for many years to come. 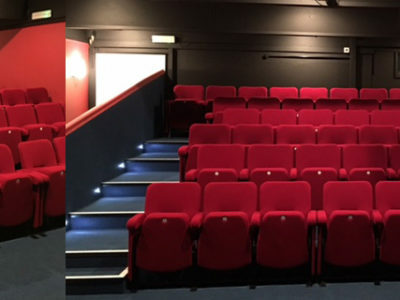 The team at The Dibble Tree were all very pleased with the transformation and the new seating which signals another milestone in the theatre’s history. Feedback from audiences has been very positive with reviews commending the theatre on the revamped auditorium and the comfortable new seating. Find out more about Carnoustie Theatre Club and Dibble Tree Theatre here. 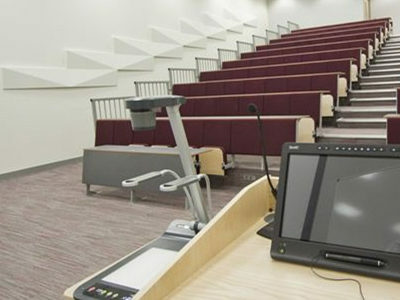 If you would like to transform your theatre or auditorium, Evertaut can help. 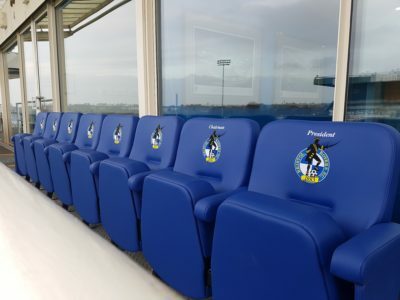 Both our seating and our service can be tailored to meet your requirements. Please email sales@evertaut.co.uk to make an enquiry.